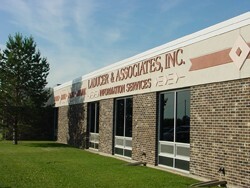 Laducer & Associates, Inc. is dedicated to providing the best in computerized information management services. We specialize in large-scale information processing-specifically data entry and data capture-and take great pride in our unbeatable rates of accuracy and overall customer satisfaction. We are continually in the process of improving our operations. We are open and excited to explore new business opportunities and welcome all inquiries.